Figure 6. Fuel Supply Check Valve Removal. Figure 5. Engine Junction Box Removal. Figure 8. Gear Shifting Solenoids Removal. 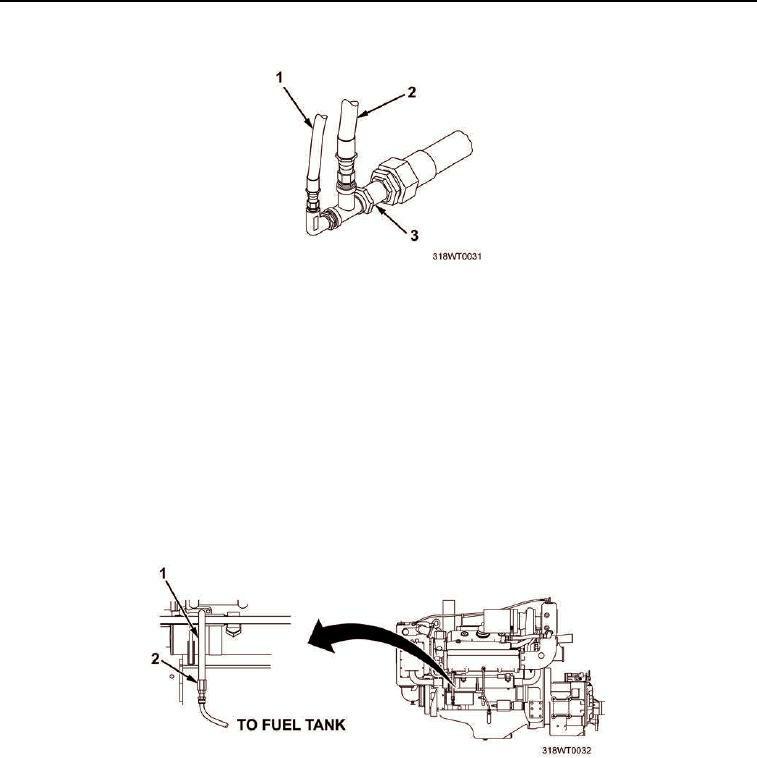 Remove fuel pump return line (Figure 7, Item 1) from main fuel return line (Figure 7, Item 2). The main fuel return line will remain in the bilge and will not interfere with engine removal. Secure fuel pump return line (Figure 7, Item 1) to engine with twine. Figure 7. Fuel Pump Return Line Removal. marine gear shifting solenoids (Figure 8, Item 2) and secure to engine with twine.